I am Shashi Babu Paudel. I am 39, and I live in Kathmandu, Nepal. As a person with an intellectual disability, I felt it was difficult to speak up for myself and share my feelings even in my family. As a result, I thought that there was a better life to be had. I got different opportunities to know about the rights of persons with disabilities through advocacy, workshops and campaigns and I become a self-advocate. Due to my hard work, commitment and willingness I became a part of the disability movement in Nepal and was nominated as president of Association of Intellectual Disabilities Nepal. Step by step, through my active self-advocacy work I was creating a better life for me and for other people. As I was moving ahead in the disability movement, I got an opportunity to take part in the Empower Us self-advocacy training on 26 and 27th of March 2018 in Kathmandu, Nepal. The training was organised by PFPID Nepal and Inclusion International. The Empower Us training was led by self-advocates from New Zealand, Kenya and Malawi and was for self-advocates. I took part over 2 days alongside other self-advocates from Nepal and from other countries across the region, including India, Vietnam, Myanmar and Cambodia. We took part in sessions on good support, our rights and how to take action on advocacy. 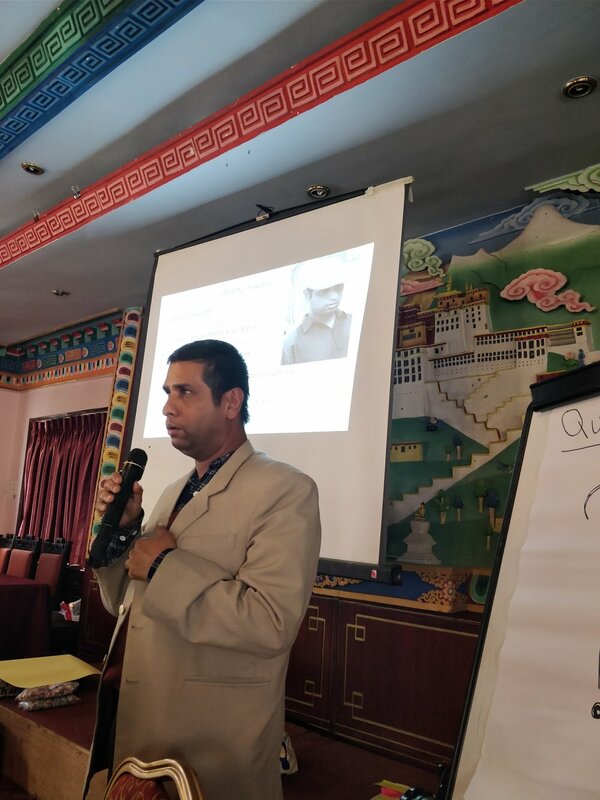 After receiving the training I was motivated to continue working on advocacy issues and becoming a front-line activist for ensuring the rights of persons with Intellectual disability in the Nepali context. 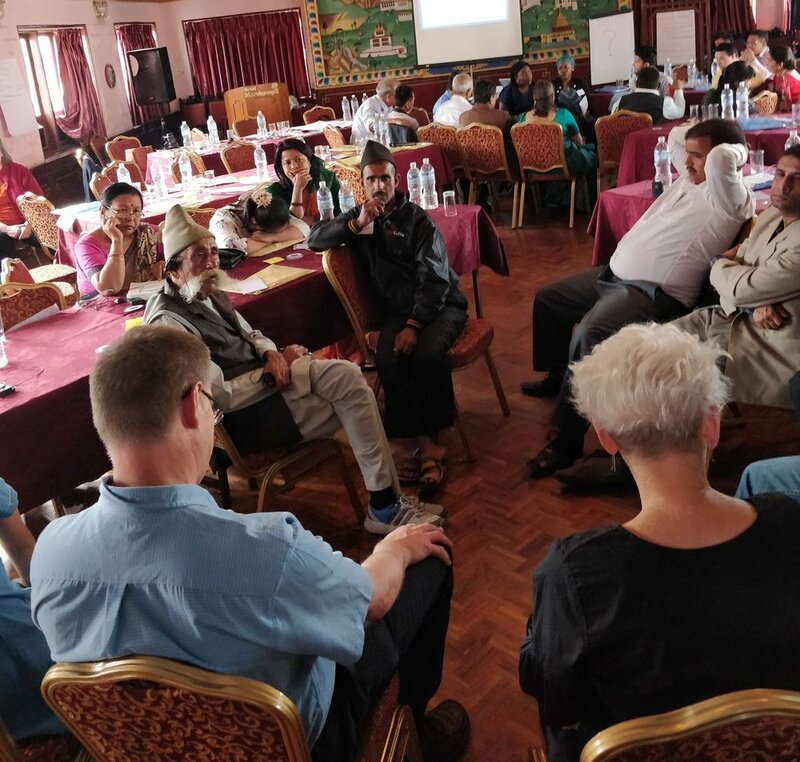 In the disability movement in Nepal I have been recognised as an advocate, therefore I have had many opportunities to participate in meetings, training and workshops. One meeting, for example, was one I had been invited to by National Federation of the Disabled Nepal and Central Bureau of Statistics (CBS). During the meeting, I raised my voice for the rights of people with an intellectual disability and advocated that the number of people with an intellectual disability in the census 2011 was not correct. I said that it was important that the enumerator (the person that runs a census) should be trained on intellectual disability so that they could gather good and correct information on intellectual disability. The representative from Central Bureau of Statistics (CBS) told me that they will make sure to include intellectual disability in the upcoming census of 2021. Using some of the skills I learnt about advocacy during the Empower Us training I have also advocated on the educational needs of people with an intellectual disability at the Department of Education. I also made sure there were easy to read materials for the persons with intellectual disability at the meeting that was held there. I spoke up during a National Federation of Disabled Nepal meeting and demanded representatives focus on the issues of Intellectual disability more seriously. I have taken part in more than 10 programs and led awareness training to more than 500 people about intellectual disability. I have also met with many university students and shared my thoughts on disability friendly infrastructure. I found the Empower Us training very useful and as you have heard it has helped me develop my confidence and build on my advocacy work. I am doing this not just for myself but for all people with an intellectual disability. I feel advocating for our rights is a big part of being a leader.